Hey T-Mobile customers, just a friendly reminder. Starting at 12:01am, the monthly data that you don't use each month is rolled over to the following month as Data Stash begins. The plan is open to those Simple Choice members receiving 3GB or 5GB of data each month. The carrier is even seeding you guys with 10GB of the sweet stuff, so you have something saved up for a rainy day. You'll see those 10GB on your January bill. Keep in mind that until that 10GB of data is used completely, your monthly leftovers won't rollover. Each month, your leftover data will be computed to the nearest MB and you will have 12 months to use it. If you're very frugal with your data (using Wi-Fi whenever it is available is a big step), you could end up with enough leftover data to watch all of the episodes of Grey's Anatomy on Netflix, while using T-Mobile's 4G LTE network. Is this the best Un-carrier move made by T-Mobile to date? After all, there is something to be said about getting an opportunity to use the data that you didn't touch during the month. This is akin to dining in an expensive steakhouse, finding yourself unable to finish your rib-eye, but getting invited back to polish off your meal anytime up to a year later. Feels good to be on T-Mobile! 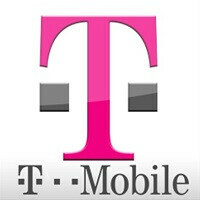 I have full true unlimited data on T Mobile and Verizon. I would hurt myself if I went to a metered plan. My data plans says unlimited data with verizon! Thankful for that. How much do you pay for "unlimited"data with Verizon? $200+? I enjoy paying $100/month for two lines on T-Mobile for unlimited everything, as well as international texting, data, etc. This plan can't be beat. Also, although T-Mobile doesn't have the "BEST" coverage, my coverage is awesome in Los Angeles! True that! I get 35 Mbps at Walmart! Shopping with speed! I am also in a major city where it works great! I'm not in a major city, but I still get excellent data speeds in my town. It is also nice to have a phone that runs on HSPA bands, as many international phones use HSPA. If I want, I could import one of these xaomei, or huawei phones and still get 4G.